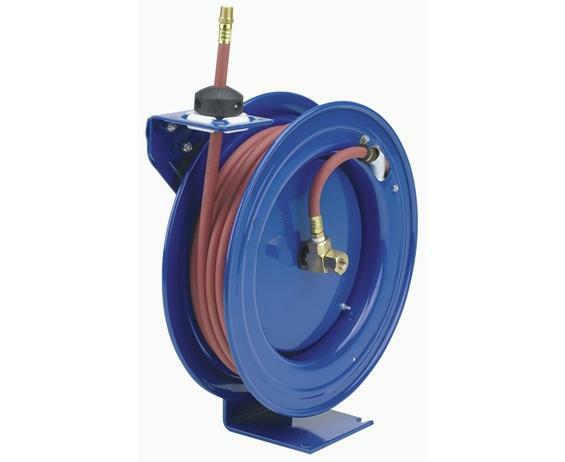 Prevent accidents and injury by keeping hoses off the floor with these fast-acting hose reels. Made of heavy gauge steel with non- corrosive components for long life. Full tension free control of hose area is provided by a multi-position ratchet - saves time. Rugged spring motor balanced to each reel capacity is protected and easily replaced. 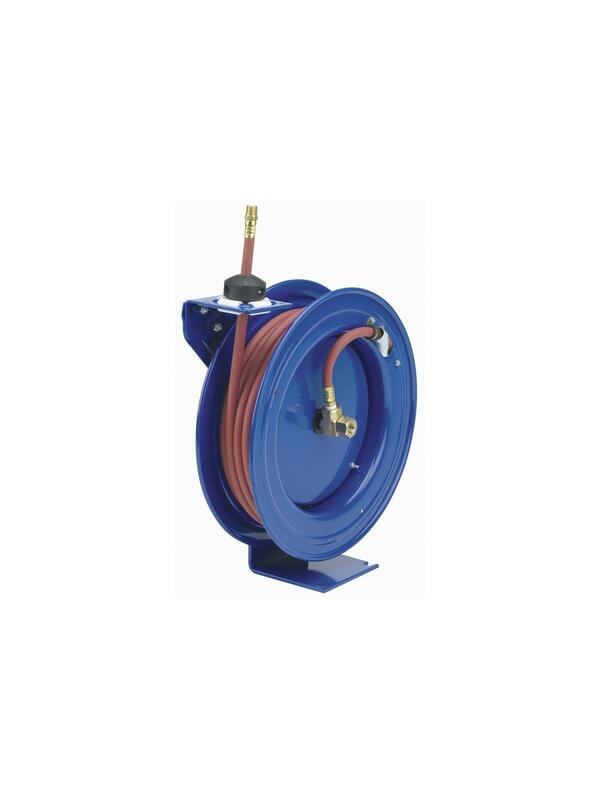 Each hose reel is designed for maximum unrestricted flow. They rotate freely with leak-proof double duty seals. Floor, wall or ceiling mounted. Working pressure to 300 PSI, temperatures to 200°F. Complete with hose and hose stop. FOB Shipping Point. Hose I.D. 1/2" 1/4" 3/8"